These are the Physics Classroom lessons on power, and includes questions for a self-check of your understanding. A site that describes horsepower and how it is measured and compares the horsepower in various high-performance car engines. Visit this site for a refresher on mass, force, torque, work, and energy and to learn about power. Includes examples. Explore the products and their applications from this company, specializing in human power generation in remote locales. How much power can a human really deliver? A short biography of James Watt's contribution to the development of the steam engine, and the unit of horsepower which we still see used today. Part of the HyperPhysics site from Georgia State University. It defines work, energy, and power. Follow the "power concepts" links to learn more about power. This site on the science of hockey includes calculations in the section on checking for force and energy. It includes a calculation to determine how long a 60-watt bulb could be burned with the energy generated. This site provides links to online calculators for cylinder bore, cylinder force, and valve flow in metric or imperial units. A very comprehensive (and lengthy) accumulation of information about pumps and pump design, and measurements, including many illustrations and animations of different pumps, measurements, and so forth. Several entries give facts about flow rates and historical info about the various pump designs. The online site for Pumps and Systems magazine. 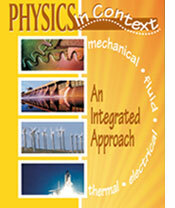 Provides many journal quality articles relating to pumps. Check current and archived articles (requires painless user registration). This page from the National Fluid Power Association provides an overview of fluid power, including facts and terminology related to fluid power, as well as links to data and employment opportunities related to fluid power. A pictorial listing and explanation of symbols used in hydraulic schematics, and basic formulas used in hydraulic calculations. This series of pages conveys an understanding of the many ways electric power is distributed, including a light discussion of alternating current, three-phase, and line voltage. This site explores a growing alternative for power transmission over long distances using DC rather than AC, including a video. This site includes a well-done video showing the disassembly of an old-style electric power meter, that reveals how the meter uses a 100-year-old design to accurately measure and display each customer’s usage. This U.S. government site gives several links to help reducing electricity costs in your home, and links to other helpful energy solutions like reading the old-style electric power meter and switching to energy-efficient appliances and light bulbs. This site includes many links and articles discussing standards to improve the energy efficiency of major household appliances and the potential savings in terms of energy costs. Using simple graphics, this site conveys how the nation’s power grid is structured, and how it delivers the usable voltages to us.